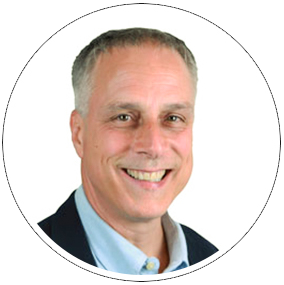 Richard Brune is a sales and marketing professional with over 25 years of experience in building and managing some of America’s most recognizable consumer brands. Richard has an unbroken record of substantial sales and market share increases with such brands as Stanley Tools, Hartmann Luggage, REI Inc., Swiss Army Brands and licensed products with Eddie Bauer and Disney. Richard has a proven ability to develop new markets and expand existing ones. He is an effective leader with the ability to build highly productive and motivated sales teams. A bottom line executive with the ability to reduce operating expenses while continuing to enjoy growth and profitability. Prior to joining OneAccord, Richard held Senior Executive positions in sales, marketing and business development in the Outdoor and Travel Gear Industry. As the Vice President of Sales for the Swiss Army Brands, he successfully launched the Victorinox Travel Gear line, driving the TRG Group to become a leader within the industry in less than four years. Richard also led Hartmann Luggage in their sales efforts at its pinnacle. He was Director of Marketing and Sales simultaneously at two of REI’s subsidiaries. Most recently, he served as Vice President of Sales & Business Development at Skyway Luggage Company where he successfully negotiated and launched the Disney Brand. Richard’s channel management skills are diverse having managed sales to all retail channels; Department Stores, Mass Merchants, Clubs, Specialty, Internet and Broadcast Media. He also has extensive knowledge of the product development and manufacturing process, having directly managed these for the REI brand, a national retailer of technical outdoor products. Throughout Richard’s career he has won numerous awards and promotions for achievement. He is passionate about brands and managing sales teams. His approach is one of service by directing, coaching, mentoring and providing the resources necessary for people in the organization to be successful. Richard has a Bachelor of Science degree in Business Administration from Central Michigan University with a triple major in Marketing, Economics and Psychology. He and his wife of 26 years live with their two children on a “hobby” farm and are active in the equestrian lifestyle. Both daughter and son ride competitively. He takes an active role in his son’s baseball team as an assistant coach. Both he and his wife are active in their local church.